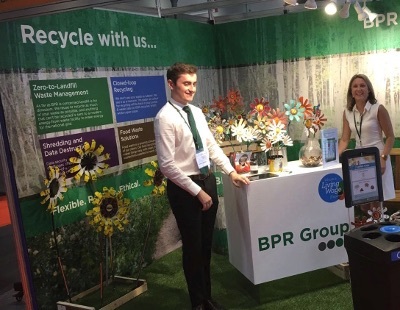 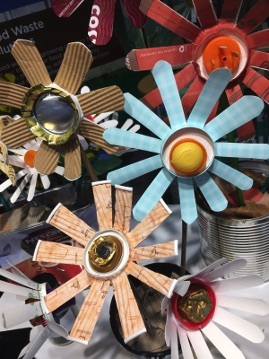 Michelle was commissioned by BPR Group to create flowers from waste materials for their stand at The Facilities Show, at the Excel Centre in London. 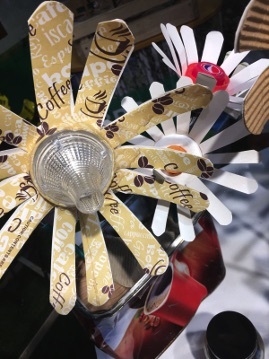 Materials were sourced from the company's waste management facility, and the main material used was coffee cups. 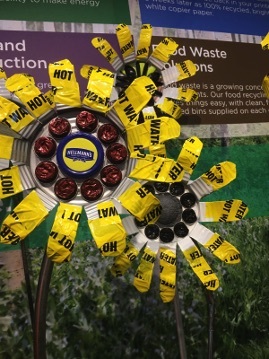 Michelle worked on the flowers on the stand during the exhibition, where there was a competition to guess how many coffee cups would be used.